The Tecnifibre T-Flash 265 Tennis Racket comes pre-strung with the highly regarded Tecnifibre Multifeel string, to ensure you get the most control, spin and longevity out of your racket. The graphite and titanium weave frame of the Tecnifibre T-Flash 265 VO2 MAX Tennis Racket ensures great rigidity and therefore response in every shot and with its striking colours and great performance will make sure you stand out on court. 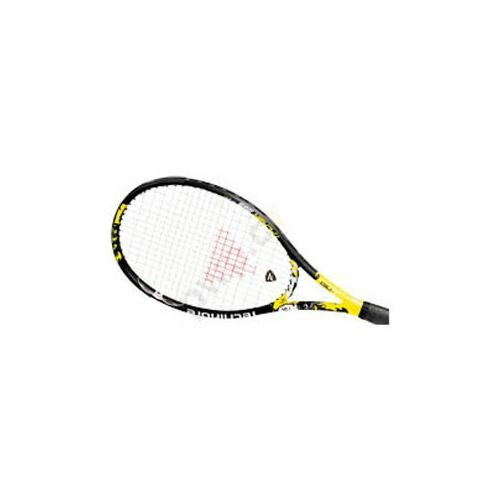 A specialist racket designed for the masses, and at an incredible price. What more could you want to enhance your game? The Tecnifibre T-Flash 265 VO2 Max Tennis Racket features revolutionary VO2 max technology located at the 3 o'clock and 9 o'clock points in the head to increase the sweet spot size and offer greater tolerance. By adding Carbon Stabyl fibers to this section, it offers the player more power and comfort with reduced vibration, making the feeling and response greater, and shots easier to control. 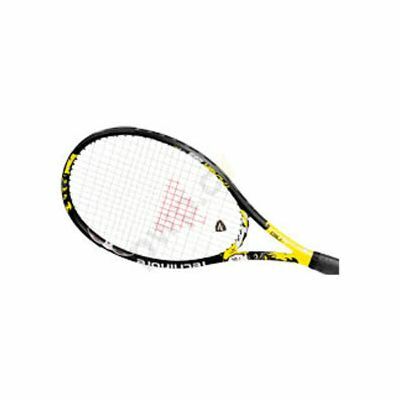 for submitting product review about Tecnifibre T-Flash 265 VO2 Max - Tennis Racket.